The Fuji FinePix F770 EXR is a powerful and versatile compact digicam with class-leading features. It has great image quality, creative shooting modes, but lacks a little in performance and carries a high price tag. Read more in our Full Conclusion. The FinePix F770 EXR is one of Fuji's most powerful and versatile, yet incredibly compact digicams. It has been loaded with all of their highest quality features and components, including a 16-Megapixel backside illuminated CMOS imaging sensor, dual core EXR image processor, 20x optical zoom lens and full 1080p HD video recording with just one touch of a button. Fuji's EXR Auto shooting mode makes every decision for you, including changing the camera's shooting mode and choosing the correct scene modes. The incredibly powerful processor also gives the camera the ability to use burst shooting for creative effects, not just for quickly capturing images. The versatility of the F770 EXR is almost unmatched in a camera this size. Its 20x optical zoom lens with a 35mm equivalent of 25-500mm is usually only found on a much bigger camera. It can also be used to find your way with the built-in GPS unit. Use it find landmarks or just to track where you shoot. This is also a very stylish camera and it will turn some heads. 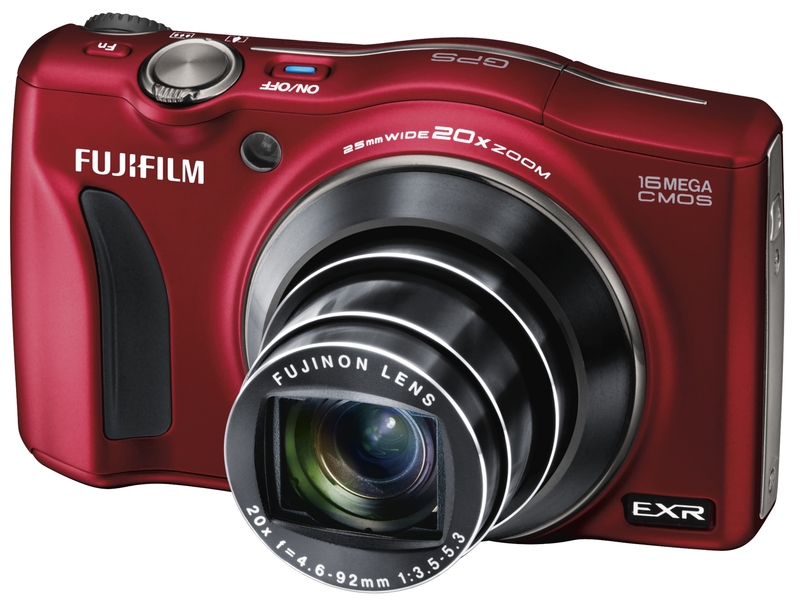 The Fujifilm FinePix F770EXR has a suggested retail price of $379.95 USD. Colors include Black, Red, Blue, White, and Champagne. See our buy box for the most current online pricing.